Berklee alum Mimi Hardiman enjoyed fame in the early ‘80s with the all-original, new wave rock band Body English. She wowed the crowd with vocal prowess, elaborate spiked, multi-colored hairstyles, and super-short skirts. After a hiatus during which she booked music aboard a luxury sailing yacht, she resurfaced with both the Red Dog Blues Band and Midnight Ramble, making the rounds in Boston’s blues club circuit. Even when the Blues briefly took a back seat to an infant seat (! ), Mimi realized she eventually had to return to her musical roots. The red-hot move? 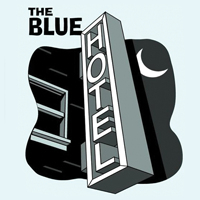 Joining The Blue Hotel in 2000. When Carl’s piano teacher allowed him to play Rhapsody in Blue in recital, it led to a lifelong love of jazz and standards, and a decision, at 14, to play professionally. In high school, he learned about private functions, rock ‘n roll, and jazz performance. From 1975 – 1990, his quintet A Patch of Blue performed at literally hundreds of dinner dances, weddings, nightclubs, jazz venues, and even a Dixieland funeral! A stint with the Red Dog Blues Band in the early 1990s led to the birth of The Blue Hotel, where he retains his musical view: provide the customer what they want, forget the formulas, and have fun doing it. Don embarked on his musical career at the age of 10, when he first sat behind a drum kit. He formed a rock ‘n’ roll band at 13 – resourcefully including a saxophonist who was old enough to drive the group to gigs – and, at 20, he answered a yearning and switched to guitar in order to write songs and sing them from the front of the stage. For a decade he then toured with an all-original band throughout his Midwest home base as well as the South, Southwest, and parts of Canada, appearing in clubs, concerts, and on television. Don moved east in the 1980s, joined the Red Dog Blues Band, and eventually becoming one of the founding members of The Blue Hotel in the late 1990s. The years of touring in a van taught him his number-one rule in the music biz: consult a good roadmap and get to the gig on time; people are counting on you! Mike Jacobs is not afraid to play in G-Flat or even F-Sharp! It’s a challenge born of his advanced degree in music education and reflected in his almost-relentless experimentation in deciding which instruments to use: alto, tenor, baritone, and soprano saxophones, clarinet, and flute. Mike has played a variety of music, foremost with A Patch of Blue on Boston’s North Shore from 1975 – 1990. In addition to The Blue Hotel, he plays woodwinds in musical theater, jazz big bands and classical ensembles. He frequently woks with small groups playing jazz and—his particular favorites—samba and bossa nova. When he started banging screwdrivers on windowsills, Norm’s parents found a solution: drumsticks. This set into motion a lifelong venture that included both a 7th grade school band and a high school dance group. At 16 came his first professional gig, and he never looked back. In the ‘70s, a few outstanding musicians melded, became A Patch of Blue, and set off on a provocative 15-year musical quest on Boston’s North Shore. He still plays off the unique phrasing, limitless reach, and creative thrust of those compatriots who fazed into The Blue Hotel in the late 1990s. His consensus thought: we have some really nice stuff going on! Life can alter in one crucial choice...like which instrument to play or deciding which member of KISS had the best makeup. For Ben, the latter was Gene Simmons; the former was clarinet, and eventually, a deepening love of guitar and bass. A high school rock band led to matriculation from Berklee School of Music and a degree in arranging. In school, Ben played with the band Infusion, and in 1992 joined the Red Dog Blues Band. After stints in various rock and blues groups, he settled down in The Blue Hotel (he likes the sheets.) In his spare time, he writes music for his own enjoyment and performs occasionally with other North Shore-based bands.